"The human foot is a masterpiece of engineering, and a work of art". Contact Us by Scheduling online, or call (801) 773-4865 to make an appointment today. In most cases same day appointment may be available so please call. 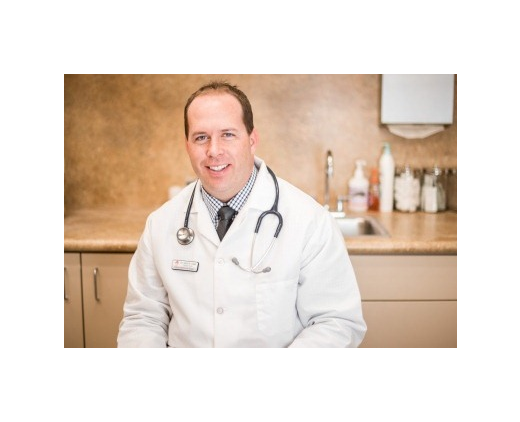 Dr Oaks is board certified in the foot, ankle and leg and has been trained extensively in the diagnosis and treatment of all manner of foot and leg conditions. This training encompasses all of the intricately related systems and structures including neurological, circulatory, skin, and the musculoskeletal system, which includes bones, joints, ligaments, tendons, muscles, and nerves. Our multi-specialty clinic is located in a new state of the art building next to Davis Hospital's Emergency Room in Roy, Utah. Services offered include: Podiatry, Primary Care, Obstetrics, Physical Therapy, Emergency Medicine, and Orthopedics. Dr Oaks is part of a team of podiatrists, sports medicine, and orthopedic doctors at Tanner Clinic. Along with Dr Oaks, Dr. Brooks Potter and ﻿Todd Flinton ﻿work together to provide state of the art healing of the foot ankle and leg in our local community. "Thank you Doctor Oaks for taking the time with me in your office the other day, you make problems easy to understand. I have seen a lot of doctors and you are one of the best. Thanks Again." -Emily C. of SLC. Gary N. Oaks DPM expressly disclaims all warranties and responsibilities of any kind, whether express or implied, for the accuracy or reliability of the content of any information contained in this Web Site, and for the suitability, results, effectiveness or fitness for any particular purpose of the services, procedures, advice or treatments referred to herein, such content and suitability, etc., being the sole responsibility of parties other than Gary N. Oaks DPM, and the reliance upon or use of same by you is at your own independent discretion and risk.